Engine 812 is a 2012 Pierce Arrow XT. This piece responds to fire alarms, CO alarms, structure fires, and chimney fires. Engine 813 is a 2018 Pierce Enforcer. This piece responds to fire alarms, CO alarms, structure fires, and chimney fires. 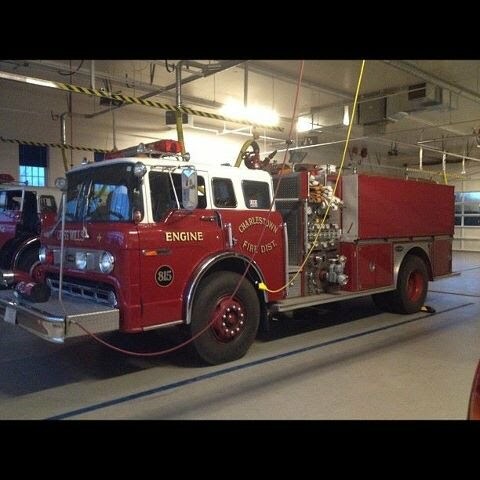 Engine 814 is a 1997 E-One/International. This piece responds to MVA, water rescues, brush fires, and medical runs. Used for any off-road emergencies such as, brush fires and beach emergencies.